Harrow is located in North West London, England and is part of Greater London. It is one of the smaller London boroughs and was formerly known as Middlesex. Harrow is home to the University of Westminster campus and is widely known for Harrow School. If you live in this particular borough or one of it's districts and villages listed below, call Royal Cleaning now at 020 8050 2865 and book your end of tennacy cleaning session with us. Professional end of tenancy cleaners, a real local business with roots from Harrow, cleaning detergents of the highest quality, which keep your health and your family and property in the best shape. An amazing service at such a good price that you wouldn't even believe it. In order to get your free quote you only need to call us now at 020 8050 2865 or use our quotation form below. 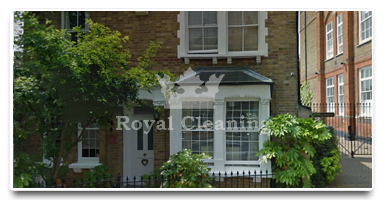 After satisfying hundreds of customers in the borough of Harrow, Royal Cleaning has expanded into other boroughs as well, but our love stays with Harrow and it's tenants where it all began. I called you once when I was just moving in my apartment in Harrow, and your cleaning company did such a good job, that 3 years later I decided to call you again. I was surprised to find out that your end of tenancy cleaning prices are even better now. Wonderful! Between work and watching my children, moving out of my flat in Harrow was something I didn't want to deal with. The cleaning part was my worst nightmare and that's why I called your end of tenancy cleaners in order to carry out this tough job instead of me. They did a wonderful job and I didn't even have to be on the sight. Thank you!